training with the best to become the best you can be! NELSON...INNOVATOR, TEACHER, MOTIVATOR & VISIONARY WHO PUT ATHLETES' OPPORTUNITIES FIRST! The driving force behind Ruth N. Nelson’s efforts over the past 40 years was to ensure that athletes became all they could be. This also meant that opportunity would not be denied those who had been disadvantaged, economically, socially and intellectually. 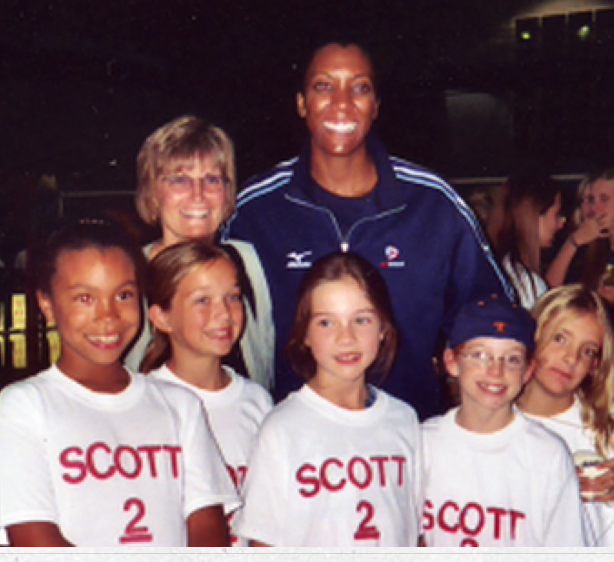 Of Nelson’s 40 years in volleyball, 9 were in Houston of which 8 were at the University of Houston. She was arguably the first coach at the collegiate level to aggressively recruit the black athlete. Flo Hyman came to the University of Houston and was joined by Rita Crockett, Rose Magers-Powell, and Sherryl Moore. Their play and continued development brought immediate recognition to the university and Texas volleyball. In addition, she brought in the US National Team and co-hosted the Women’s National Team Tours for the purpose of exposing the community and promoting the sport. In the state of Texas, additional recognition came several years later with the Dallas Belles, the first women’s pro league volleyball team. The team provided increased exposure to the state of Texas as well as to high-level volleyball. As was mentioned earlier, Nelson believed in providing opportunity to individuals who were disadvantaged. 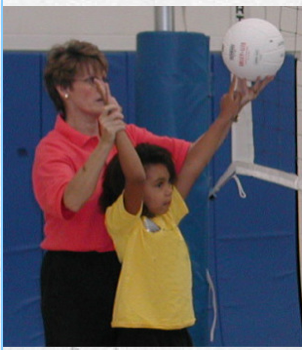 In 1985, she established the nonprofit “LVC” to provide grants for low-income, inner-city girls’ volleyball clubs. 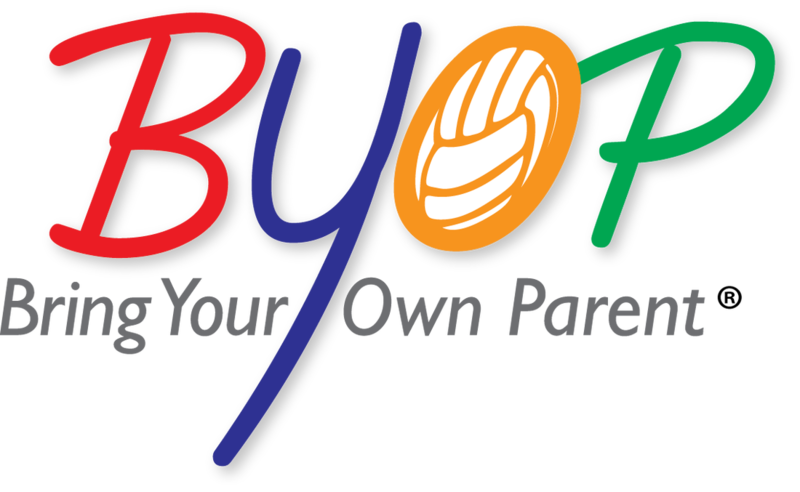 The program sought to use the sport of volleyball as a means not only to teach the skills of the sport, but also to teach self-confidence, encourage the pursuit of personal excellence, promote competitiveness, foster teamwork and develop leadership skills that go beyond athletics into every aspect of the athlete’s life. The program also encouraged and helped well-rounded, outstanding athletes pursue a higher education. Through this program, Nelson reached over 500 inner-city black youth (girls and boys) in the Dallas-Fort Worth area alone. These youth were exposed to increased skills and to successful role models such as Olympians Danielle Scott, Rose Magers-Powell and Ruth Lawanson plus National player, Penny Lucas-White. In addition, the images and names of Flo Hyman, Rose Magers-Powell and Danielle Scott-Arruda were gained and utilized. TEAM FLO was a spin off of this program. Among the many groups Nelson trained, one of those groups involved girls between 4-12 years of age. The focus of this program was training and skill development as well as the history of girls' and women’s volleyball. Girls and women must not lose sight of where they have come and what their heritage truly is. One of the results was that many junior volleyball club and collegiate players now remember and honor Flo Hyman by wearing her number #7. After having the opportunities of gaining so many wonderful and meaningful experiences and knowledge, Nelson expanded her reach to Special Olympics, specifically Special Olympics volleyball. She worked with athletes, coaches and program leaders in over 100 countries. 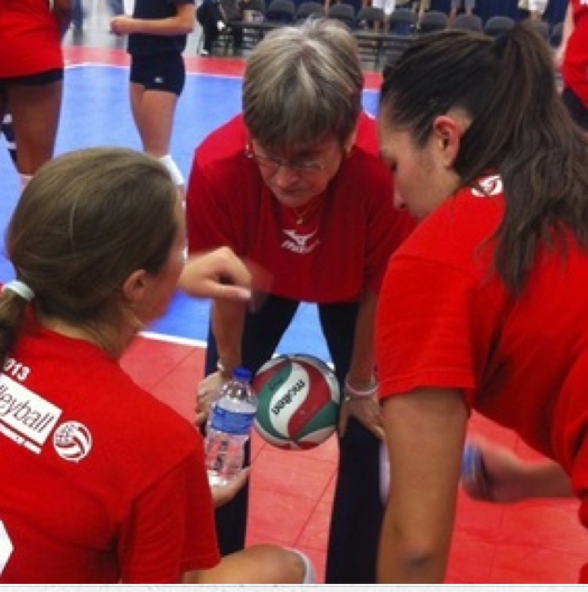 These experiences included writing a training guide for coaches, traveling and developing volleyball to become one of the top three Special Olympics sports, worldwide. She co-founded the Collegiate Athlete Educational Program (CAEP). The mission is to provide education, information, and the tools enabling parent(s) or legal guardian(s) and potential collegiate student-athletes (sons or daughters) the opportunity to make the best decision in the selection of a college. Nelson believes that student-athletes and their parents, who want to fulfill their daughter’s or son’s dreams of attending college, competing in sports and earning a degree should have the opportunity to learn, become informed and be provided the best education and support possible so that their dreams can be fulfilled. Nelson is humbled and honored to have had the opportunity to work with so many great kids and athletes. What has been most meaningful has been to take a moment and reflect on all the young women whom she has had the pleasure of teaching, coaching and mentoring and to see how far they have come … they have become Olympians; they have become coaches; they have become teachers … when they could not conceive of those possibilities!